Hi, I’m Ed Smith, the founder of this website, www.AutoAccident.com, and Shasta Lake personal injury and car accident lawyer. I legally represent Shasta Lake victims who have been in accidents that left them seriously injured. I am often referred to as the “personal” personal injury lawyer, because I empathize, as well as sympathize, with victims who are living with the emotional pain and physical trauma that most people experience after being involved in a catastrophic accident. I understand the landslide of emotions and the worry that comes along with being seriously injured, because I have lived through numerous serious injuries of my own. I am also aware of that overwhelming grief that can take hold of you and practically strangle you when you have lost a loved one to wrongful death. There is a reason it is referred to as “wrongful death.” I am here to help you through all of the difficulties that come with your case on even the most personal levels. 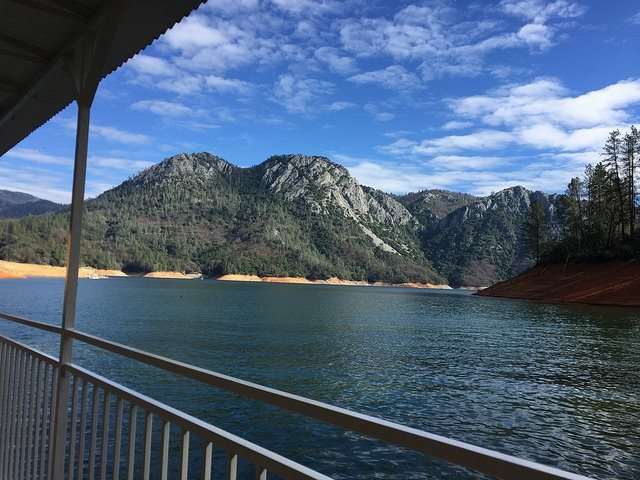 Those of you who live in Shasta Lake are incredibly fortunate! You get to enjoy lake living – the fishing, the swimming, the boating, the jet skiing, and the long list of other fun water sports and lake activities all year long. You would never know that the beauty of a lake was the largest man-made reservoirs in California, because it appears to be there so naturally. It is not often that I get to make the 170 mile trip from Sacramento to Shasta Lake, but when I do, I definitely enjoy my time and the views when I am there. Why Would Shasta Lake Accident Victims Drive to Sacramento for a Lawyer? Certainly, at this point, that question is in the front of your mind. Why would you drive all the way to Sacramento to my office when you can find hundreds of personal injury attorneys between Shasta Lake and Sacramento? Due to the recent downturn in the economy many good injury firms were forced out of Shasta Lake leaving a void for solid legal representation. If I feel you have a good case and we are a good match, I will pay for your transportation costs to come visit me in Sacramento. I will put you up in a hotel overnight so you don’t have to make the long trip to Sacramento and back in the same day. If you are unable to travel due to your injuries, please call me anyway. Let’s go over the details of your case and see what we can do to meet. I take serious injury cases on a contingency fee basis, which means that you do not have to pay me unless and until I win your case. Let me offer you a few tips to help you choose the right lawyer for your case. After all, choosing the right lawyer is vital if you have serious injuries and want to recover compensation. Personal injury lawyers are everywhere. You see their commercials on television and the internet. You may even see personal injury lawyer advertisements on billboards if you drive on highways frequently. They make big promises, but very few are prepared to do everything they need to do to truly win a case. Many of the personal injury lawyers out there consider settling with the insurance company winning the case. However, if the client is not satisfied with the settlement, was it truly a win? Does the attorney have extensive experience in personal injury? Do they only practice personal injury law? Do they have excellent reviews on Avvo, Yelp, Google, Facebook, LinkedIn, and other review and social media platforms? You read reviews on products before buying them. Why wouldn’t you read the reviews before hiring a lawyer? Does the attorney have experience in the courtroom? Are they comfortable with taking a case to trial? Simply asking a potential attorney if they are willing to take a case to court if the insurance company does not want to play fair will give you a good idea of whether or not the lawyer is comfortable with the idea. Do they have the financial means to take a case to trial? If you want to get to know me on a more personal level, feel free to visit my biography page. You can also read about my incredible staff here. We are like family and we will treat you and your family like family, too. The Ultimate California Auto Injury Handbook and The California Motorcycle Accident Handbook. I’m Ed Smith, a Shasta Lake personal injury attorney. If you or someone you love has been seriously injured in an accident due to no fault of your own, please call me today at (530) 392-9400. See my impeccable customer reviews on: Yelp, Google, and Avvo. For a look at my track record see my Past verdicts and settlements page. Do you know which intersections are the most dangerous in Shasta Lake? Can you recommend a reputable auto repair shop in the Shasta Lake area? Can you recommend a reputable chiropractor in the Shasta Lake area?